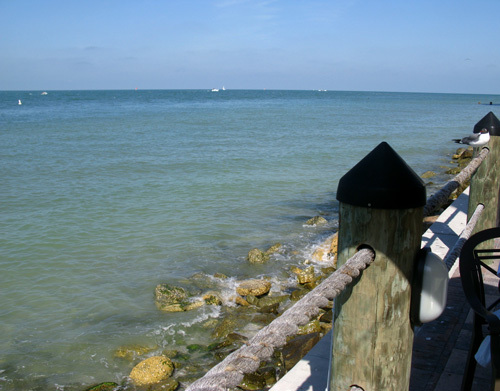 We had breakfast at Jimmy's Fish House, on Clearwater Beach, yesterday morning. 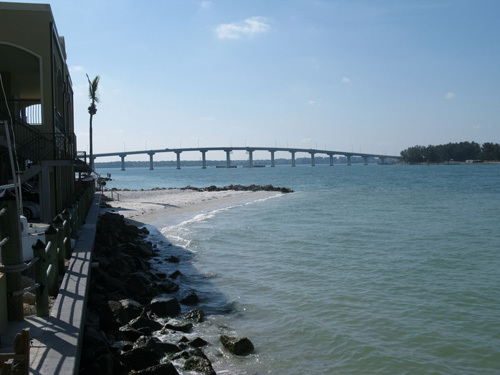 It was a beautiful Florida beach spring day and going to Jimmy's Fish House for breakfast made it perfect. Cool, sunny, and about 70 degrees...you could not ask for a more pleasant, picturesque morning on the Florida Gulf Beaches. 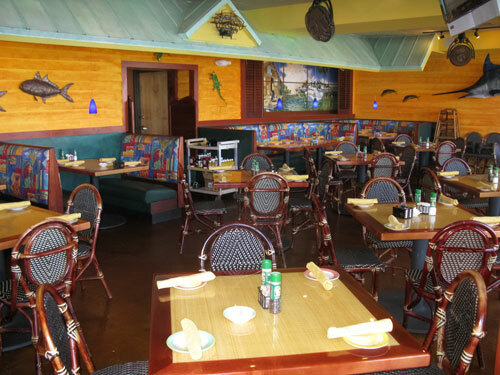 We'd eaten dinner at Jimmy's Fish House, last summer...but we had no idea they served breakfast there. It turned out that we had been missing some superb food and a great outdoor setting. We were right on the channel of Clearwater Pass and got to see everything from dolphins playing 50 yards from us...to the pirate ship cruise sailing right past the jetty. 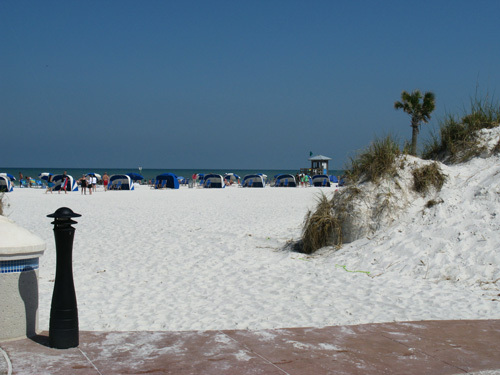 There were only a few other customers, and this spring morning on the Clearwater Florida Beaches was pristine, quiet, and easy. 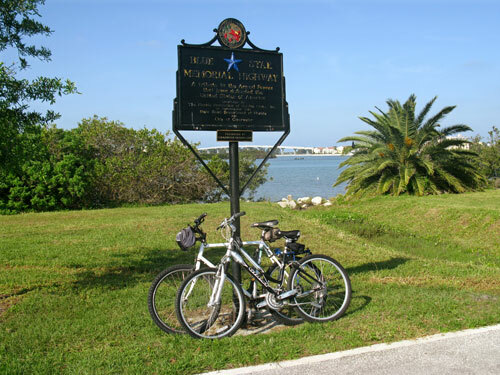 Like all of our rides onto Clearwater Beach, we started at the little parking lot right at the southwest end of the Clearwater Memorial Highway (State Road 60 - Gulf To Bay) bridge. Ream Wilson Trail was all ours. 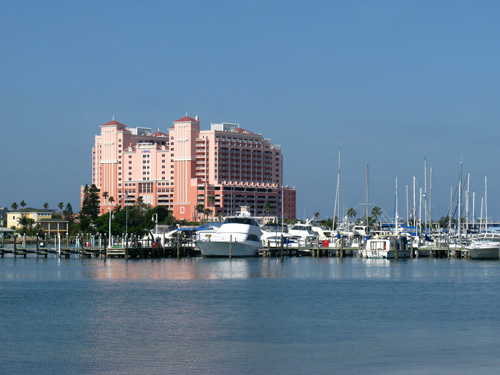 The view across Clearwater Marina to the Clearwater Hyatt Regency never fails to get out attention. 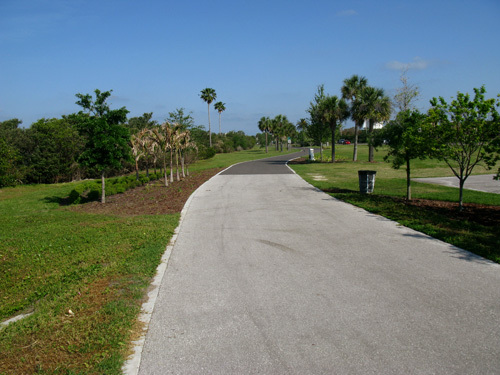 It is a beautiful view on clear Florida spring mornings. 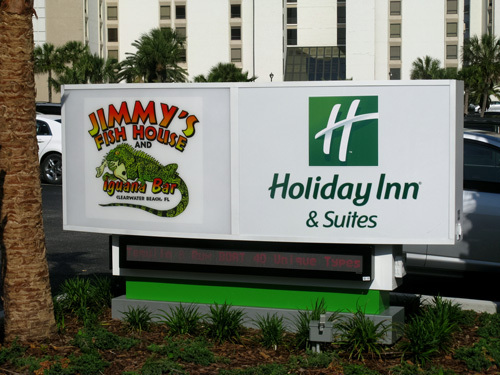 Jimmy's Fish House is south of the Hyatt Regency about 1/2 mile at 521 South Gulfview Blvd (Phone: 727-447-9720). 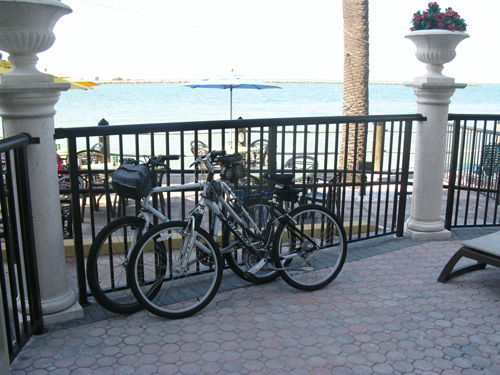 We took our bikes through the pool area and parked them almost right next to us. 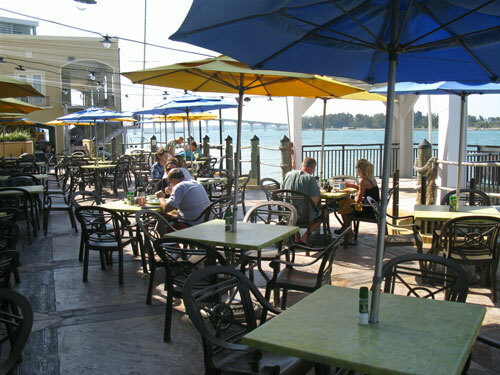 We knew the dining area was beautiful inside, but to live the Florida beach lifestyle to its fullest means eating outside as close to the water as you can get. Fortunately, there were not many early risers and we just about had our pick of seating. ...look back to to the County Road 699 bridge over the Pass. 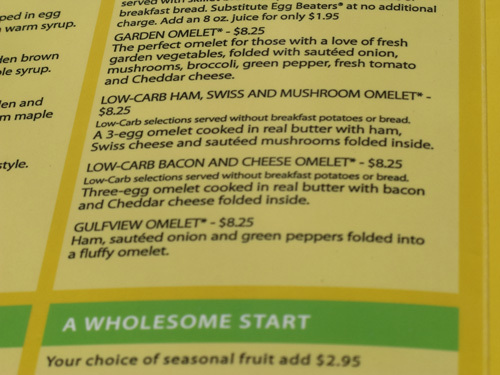 The menu had many good breakfast items, but we were zeroed in on The Garden Omelet and figured we'd split it. We also ordered the fruit cup and when our breakfast arrived, we were NOT disappointed. The potatoes were deliciously seasoned and the bread was thick and buttered. Our 3-egg omelet was stuffed with fresh vegetables. 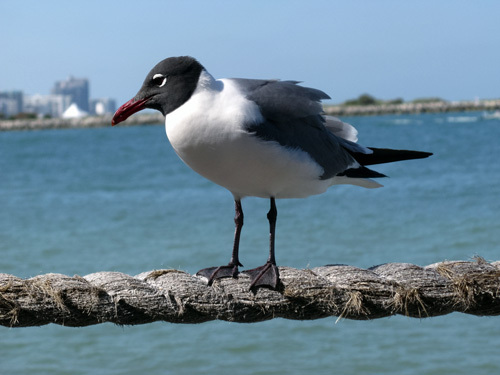 The usual thieving Black Headed Seagulls eyeballed our food, but that's as far as it got for those guys. 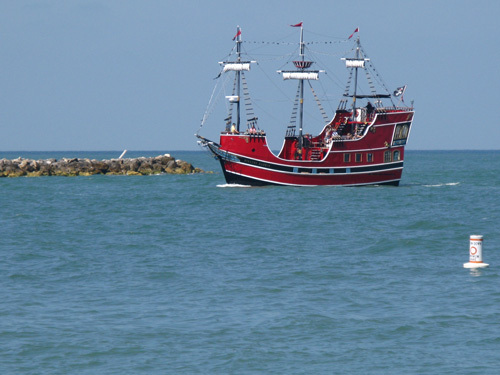 Breakfast at Jimmy's Fish House was so pleasant and relaxing, that the pirate ship cruise sailed back INTO Clearwater Harbor. It's easy to lose track of time on a beautiful Florida beach spring day. 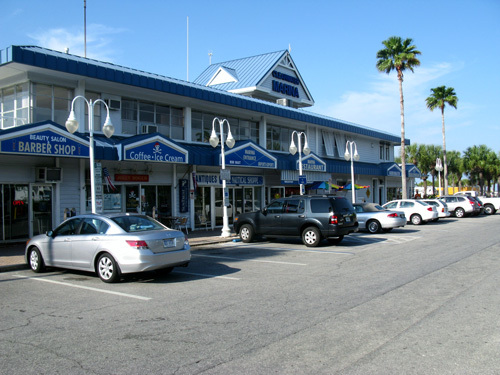 Afterward, my girlfriend and I took a nice walk along Clearwater Beach and quietly gave thanks we could retire in Florida and live a carefree beach lifestyle. 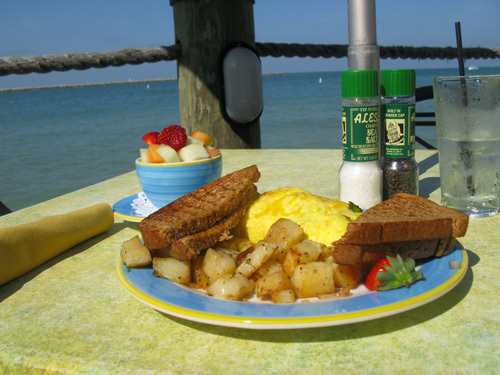 Breakfast at Jimmy's Fish House runs from 7:00am - 11:30am everyday. On Sunday's, there is a breakfast buffet. We'll make sure we go back for that, also.